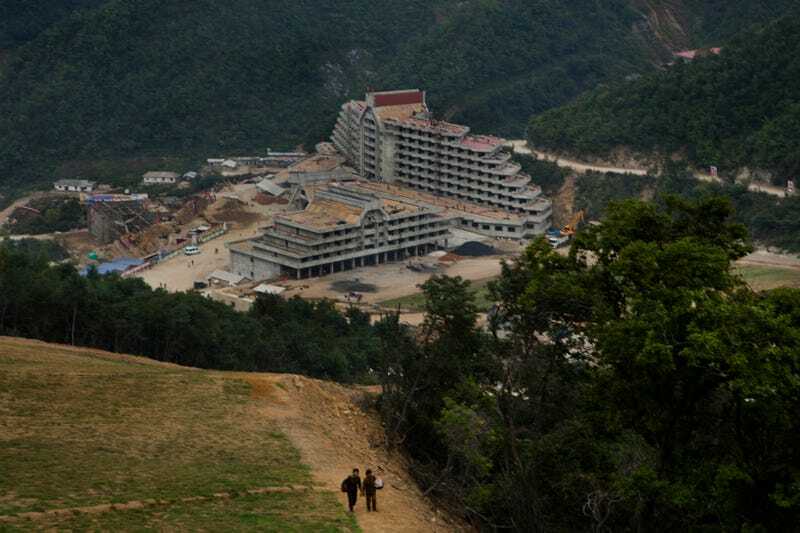 The Masik Pass ski resort is North Korea's latest white elephant. The project took 10 months of labor and will officially open this Thursday for the public, even though most of the citizens can't afford to visit it. Supreme leader Kim Jong Un enjoyed skiing as a child, which most likely provided all the reasoning needed for building an expensive ski resort in North Korea. AP photographer David Guttenfelder took some photos of the construction last month. If the site looks unfinished, that's because it is; although the resort will open, there is still much to finish. The resort doesn't even have ski lifts yet.